At the 2018 Nebraska State Irrigation Association/Nebraska Water Resources Association joint annual convention, NSIA leaders launched the Tim Anderson Memorial Water Learning Project, a fund drive to solicit contribution in an effort to advance water education and sustainability in Nebraska. Former Governor and U.S. Senator Ben Nelson was on hand at a luncheon to introduce the effort and spoke glowingly of Anderson’s efforts to raise awareness about water issues in Nebraska and advocate for cooperative, common sense solutions to disputes over water, rather than resorting to litigation or a win/lose approach to water issues. Below is the text of a letter from Nelson which is among the outreach tools from the NSIA committee that is coordinating the fundraising effort to create an endowment aimed at bringing Nebraskans together on water issues. 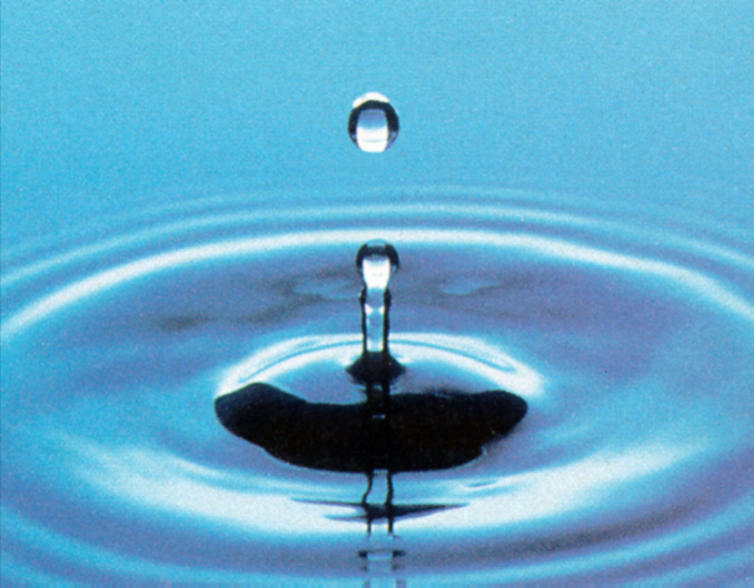 I am pleased to announce the creation of the Tim Anderson Memorial Water Learning Project. I was first approached by the Nebraska State Irrigation Association in January to discuss the idea of developing a special memorial in honor of long-time natural resources advocate Tim Anderson. Tim Anderson was a very good friend of mine who mentored me and took me under his wing. Tim faithfully informed me of our state’s difficult water issues while I had the distinct honor of serving as Nebraska’s Governor and Senator. Tim passed away in October of 2017 after a passionate career centered around Nebraska’s water resources. I’ll be sittin’ when the evenin’ comes. Then I watch ‘em roll away again. He would envision those ships coming and going, docking, unloading and loading up again, then steaming off to another port. Throughout his career, Tim looked upon people as coming and going, unloading information and gathering information and then taking these bits and pieces of information and ideas to other destinations. His goal was to bring together this continuum of thoughts and concerns and engage people to have meaningful conversations. Tim believed that if folks could sit down together and discuss water concerns and ideas with equal passion that those around the table might realize that they have more in common rather than a barn full of differences. It was his definition of “water collegiality,” where an inclusive vision of Nebraska’s shared water future was attainable through productive discourse and functional compromise. By no coincidence, this song was played at his funeral. 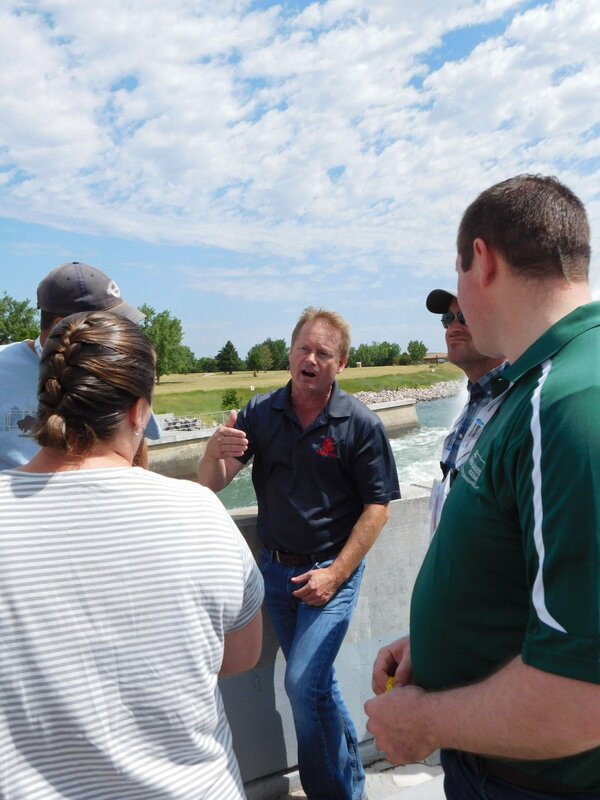 Supporting the Nebraska Water Leaders Academy – The Academy provides learning opportunities that focus on cooperative approaches to solving Nebraska’s water issues. 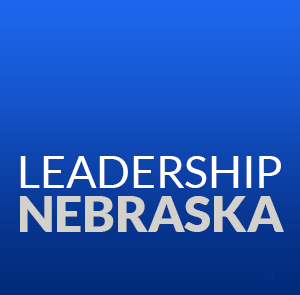 Creating Water Resources Partnerships – Hosting “think tank” sessions with water leaders around Nebraska. 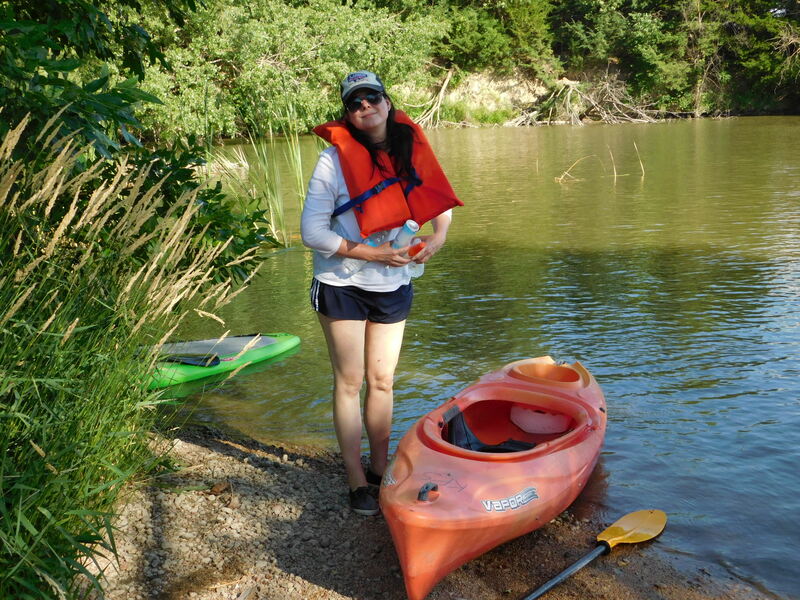 Through your donation to the Tim Anderson Memorial Water Learning Project, you will be directly impacting Nebraska’s shared water future by creating a greater understanding of Nebraska’s water heritage. You will essentially be building a “house of water sustainability” whereby collegiality is the foundation. Discourse becomes the load-bearing walls. Education frames the windows and doors of creativity. Compromise and understanding become the roof under which conservation is blanketed. The value of this house is a direct reflection of your generosity. As you know, Nebraska is blessed with a wonderful bounty of water, but it is imperative to keep our water plentiful and clean. Your gift will be aiding the promotion of water collegiality, developing water leaders, and ensuring that Tim’s seminal message of how blessed we are to have this water heritage lives onward. He carried his virtue for water sustainability like a pail full of water. 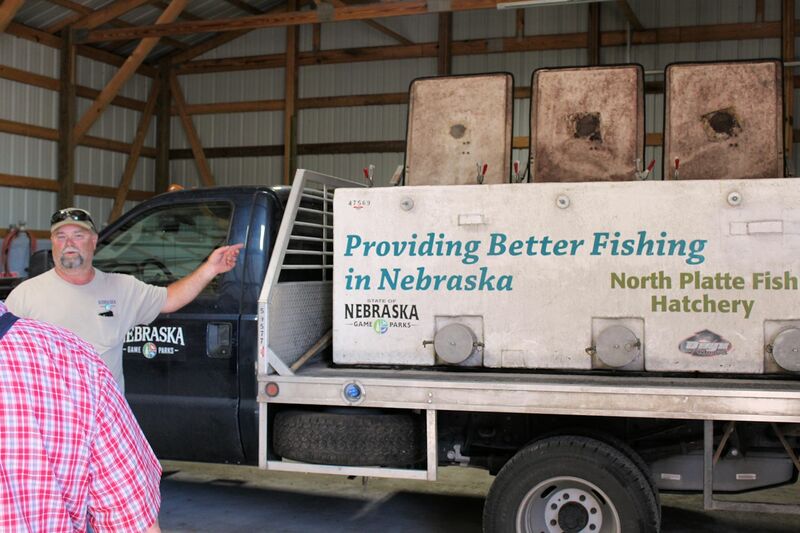 Nebraska is one of the few places in the world fortunate enough to have this water resource. Tim spent time sittin’ on his own dock surrounded by this gift of water and I want to thank you for considering a gift to the Tim Anderson Memorial Water Learning Project. c/o Water Futures Partnership-Nebraska, Inc.
___ Please call me at the phone number that I provided. I would like to discuss donating real property in the form of items, collections, and/or land. *We do not trade, rent, sell or share the names, addresses or e-mails of our donors. Your contribution is tax deductible to the fullest extent of the law. 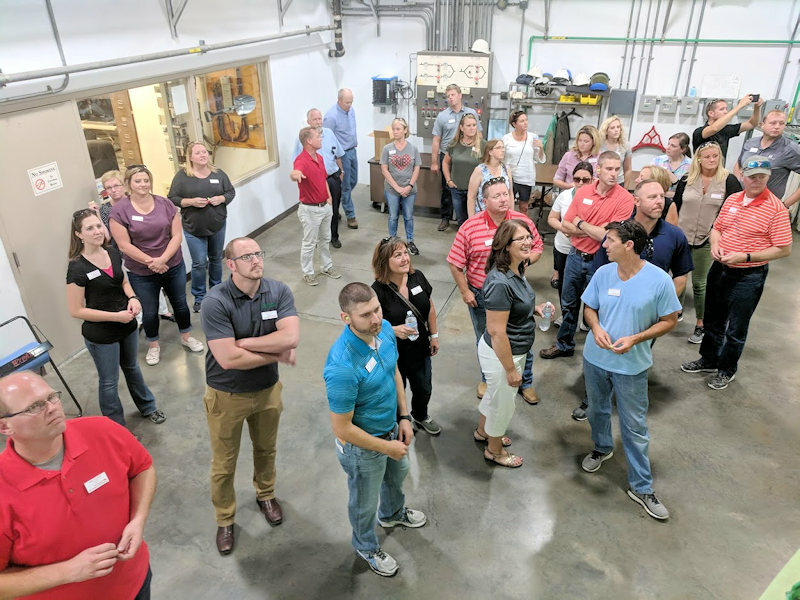 The Central Nebraska Public Power and Irrigation District had the great pleasure to host Class XI of the Leadership Nebraska program at Kingsley Dam/Lake McConaughy on Aug. 16, 2018. 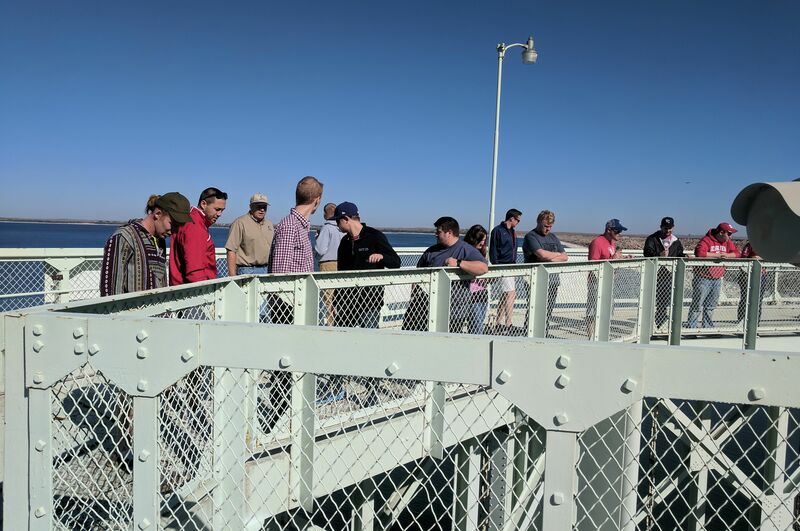 Numbering around 25 people, the class learned about the construction, development and operation of the Central District while visiting the Nebraska Game and Parks Commission’s Visitors Center/Water Interpretive Center, as well as Lake McConaughy’s outlet structures and the Kingsley Hydroplant. During the briefing about the District’s operations, the group learned that the annual economic impact of the Kingsley Dam/Lake McConaughy hydroelectric-irrigation project is estimated to be between $556 to $806 million (according to a study conducted by the U.S. Bureau of Reclamation as part of the development of the Platte River Recovery Implementation Program in the early 2000s). The economic benefits were diverse and derived from irrigation for agriculture, recreational pursuits at Lake McConaughy and associated facilities, hydropower generation and power plant cooling water. Devin Brundage (top center in red shirt) explains the operation of the Kingsley Hydroplant to Leadership class members. The class also listened to a presentation by Colby Johnson, NGPC’s regional park superintendent, about the economic and social impact at recreation at Lake McConaughy/Lake Ogallala as well as throughout Nebraska. The product of planning committee formed by the Nebraska State Chamber of Commerce and Industry in 2005, the first class was assembled in 2007. The program is geared toward people who have demonstrated community and professional leadership experiences and who desire to further develop their leadership skills and potential. 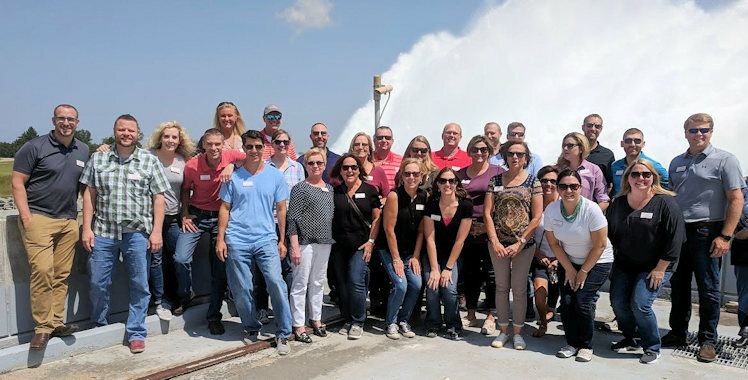 With the spray emitting from the bypass valve at Kingsley Hydroplant as a backdrop, Class XI poses for a group photo. Class sessions are held in various parts of the state. Each of the two-day sessions focuses on important issues in those areas and typically cover topics related to economic development, workforce development and education, agriculture and the environment, government and politics, and health and human services. Central provided lunch to the class as part of the day’s activities. I just completed a series of tours of facilities that are part of The Central Nebraska Public Power and Irrigation District’s hydropower-irrigation project. 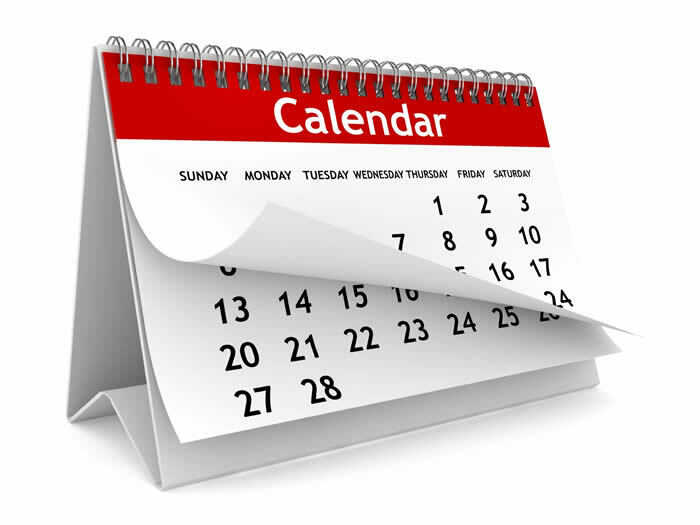 In fact, I was leading tours on seven of ten work days over a recent two-week period. As an aside, I’ve often wished that I had kept track of how many project tours I’ve personally been part of over the last 28 years, but sadly, neglected to do so. I’m guessing that it’s around 200. Groups that have toured Central’s project are incredibly diverse. 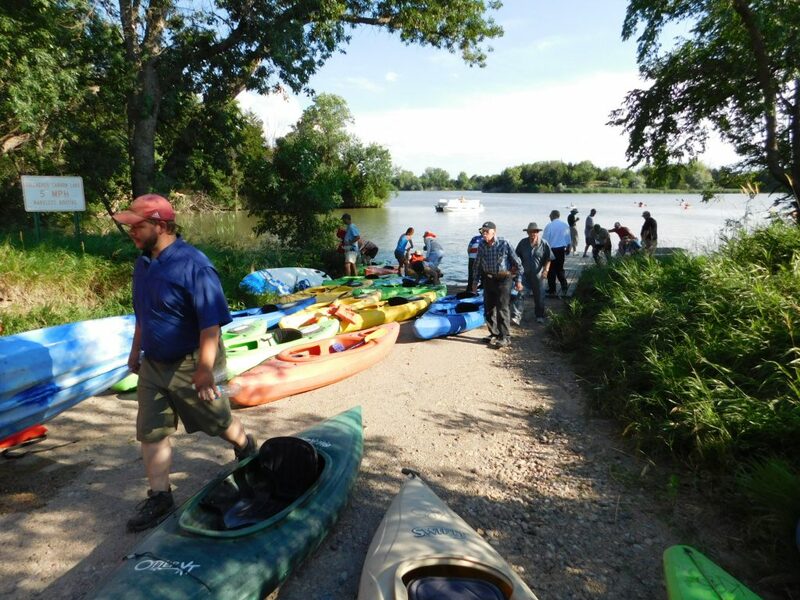 Space does not permit a listing of the many different kinds of groups and organizations who made the trip to Lake McConaughy and back, but they range from irrigation customers and cabin owners to representatives of governmental agencies and local service clubs. Participants have come from across the state and from all over the world. We’ve had visitors from Africa, Asia, South America and Europe. There’ve been politicians, political candidates and professors; senior citizens in life-long learning programs and students in law school, graduate school and high school. We’ve hosted groups from environmental organizations, members of the media, and Extension educators from across the state. And on and on. But it’s not the number of groups that have toured the project over the years that sticks out, it’s the hundreds of interesting people who make up those groups. One such person was Harold Stevens, the late Dawson County Extension agent, who was far more than just a tour participant. Working with Central personnel, he organized what he called “5-O-5 tours.” The name came from the plan for the tour to depart from Lexington at 5 a.m., and return the same day at 5 p.m.
His tours began in the 1950s when Harold would string together a caravan of vehicles and visit facilities operated by Central, the Platte Valley Public Power and Irrigation District (which merged with two other public power entities to become the Nebraska Public Power District) and other area irrigation companies. At the time, Kingsley Dam, Lake McConaughy, the hydroelectric plants, and the canal systems and reservoirs were still relatively new on the scene, wonders of modern engineering that attracted visitors from across the region. A few decades later, the caravans – which were assembled once or twice a year – were replaced by Central’s passenger van and traversed the route two or three times each summer. At some point in the 1990s, Harold was reminded that, given the dwindling rural population of the state and changing habits, fewer and fewer people were around who knew what it meant to get out of bed before 5 a.m. It took some convincing, but we were eventually able to persuade him to re-name the tour, calling it the “7-O-7 tour.” The change in timing helped continue to populate the tour and Harold kept at it until he had organized and participated in 104 “5-O-5 / 7-O-7” tours. His last tour took place in 2003, only months before he passed away at the age of 85. At one time, it was common for Central to conduct two-day tours simply because there are a lot of miles to travel and many interesting sights to see. The end of the first day found the groups at Jeffrey Lodge, where a boat cruise on Jeffrey Lake, a steak dinner and continued discussion of any number of current topics awaited. In today’s busy world, it seems that potential tour participants are reluctant – or unable – to escape their day jobs for two whole days. One-day tours – kind of like Stevens’ “7-O-7 tours” – are now the most common. And that’s a shame because we’re unable to really take in the whole project in a single day, simply because of the time constraints and distances involved. But that leads to my point. We still offer tours of the project. Put together a group of nine or 10 folks who might be interested, arrange a date or dates that work and we’ll take care of the rest. It won’t cost you a dime, other than the cost of traveling to our front door. There’s much to see and experience. And then you can become part of another group full of interesting people who have toured the Central District’s hydro-irrigation project. In what has become somewhat of a tradition on this blog, I’ll recap the just-concluded 2016-17 water year (a water year runs from Oct. 1 to Sept. 30 of the following year) and touch on some of the factors that influenced storage supplies at Lake McConaughy for hydroelectric generation, irrigation deliveries, groundwater recharge, wildlife habitat and recreation within Central’s project area. Lake McConaughy, September 21, 2017 at elevation 3248.2 feet (1.27 million acre-feet). Other months notable for higher than normal inflows and where they rank for that particular month: May (140,948 acre-feet, 13th); June (150,326 acre-feet, 20th); and August (89,462 acre-feet, 10th). Projections for inflows during May, June and into early summer were optimistic, given that the U.S. Bureau of Reclamation originally intended to release water that was in excess of its North Platte River reservoirs’ capacity to store (called a “spill”). Although the spill didn’t materialize, inflows during May and June still were about double the historical median. 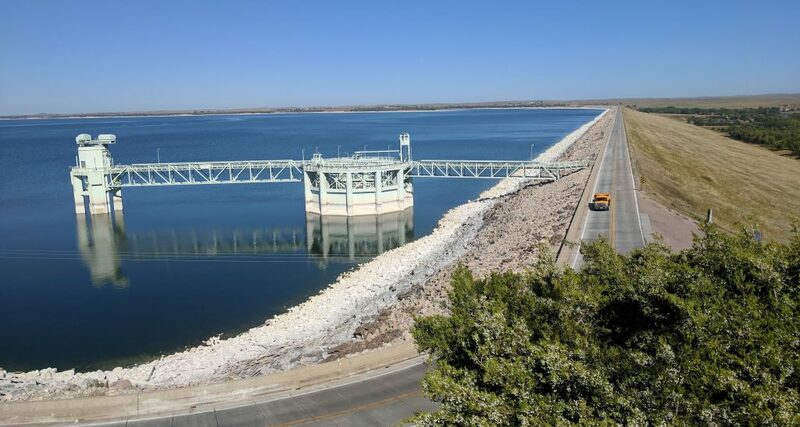 In anticipation of the projected spill, Central had increased releases from Lake McConaughy to create sufficient capacity in the reservoir to store the water, rather than pass inflows. Passing inflows through a full reservoir could have contributed to high-water conditions downstream in the Platte Valley. Despite the high early releases, McConaughy was still expected to reach its peak at or near the maximum elevation of 3,265.0 feet above mean sea level. Blame it on the amount of snowpack in the mountains of Colorado and Wyoming. Accumulation started on a high note, particularly in the upper North Platte Basin where it was about 130% of average as late as February. But experienced water managers will tell you that early snowpack accumulation is not near as important as what happens during the early to mid-spring period. That tends to be the time when more snow with higher water content falls, which usually determines whether runoff will be high, low or somewhere in between. In this case, snowfall in the upper North Platte Basin kind of petered out and total snowpack ended up below average. In the lower basin (above Glendo Reservoir), snowpack never did reach average levels, finishing at about 90% of average, and melted rather quickly. In the end, the projections were a little off the mark (Mother Nature is notoriously hard to predict with absolute certainty) and as a result Lake McConaughy peaked at elevation 3,258.1 feet on June 21, within a couple of days of when the “normal” peak elevation occurs. In hindsight, which is, as they saying goes, “always 20/20,” the reservoir would most likely have reached its peak elevation if spring releases were more conservative, but Central was acting on the best available information that called for robust runoff from a snowpack … which didn’t reach expectations. Nonetheless, total water year inflows amounted to 1,127,049 acre-feet (unofficially), which ranked 22nd in Lake McConaughy’s 76-year history. For comparison, the historical median inflow is 915,275 acre-feet, while the median inflow over the past 30 years is 758,071 acre-feet. It was the third consecutive year in which inflows exceeded 1 million acre-feet, but only the fifth time in the last 18 years that it exceeded the historical median. Another indicator of good inflows occurred this year when non-irrigation season inflows surpassed the historical median of 572,223 a-f. Non-irrigation season – or the “storage period” when there is no demand for irrigation water – is the period between and including Oct. 1 through April 30. This year’s inflows of 588,344 a-f eclipsed the historical median, but it’s one of only four years since 1987 that this has happened. As it turned out, lake levels and cooperative weather were just about perfect for visitors to Lake McConaughy. The combination of plenty of water and plenty of beach is hard to beat. Following on the heels of a year in which Lake McConaughy ranked #2 in the state – behind only Omaha’s Henry Doorly Zoo – with more than 1.3 million visitors, the Lake McConaughy State Recreation Area is expected to again top the 1 million visitor-days mark, although final numbers aren’t yet available. One of the highlights from last summer was the record-setting number of visitors over the extended Fourth of July holiday weekend. The Nebraska Game and Parks Commission reported that the 209,813 visitor-days recorded that weekend surpassed the old record of 181,147 set in 2014. Turning to the irrigation season, the Irrigation Division reported that 162,363 acre-feet of water were diverted into the system during the irrigation season, with average use of 7.2 inches per acre by irrigation customers on Central’s three main irrigation canals, Phelps, E-65 and E-67. Using delivery data from 1990, 2002 and 2012 – years similar to 2017 in terms of acres, temperatures and rainfall – we see that diversions for irrigation deliveries continue to trend downward over the past 30 years. The 1990 diversions totaled about 249,000 acre-feet; in 2002 they were around 224,000 acre-feet; and in 2012 – a year particularly noted for lack of summer rainfall – diversions were less than 194,000 acre-feet. Dave Ford, the Irrigation Division’s manager, attributed the declining irrigation diversions to water conservation efforts and efficiency measures by Central’s customers and within the conveyance system. Over the past 30 years, average diversions into the irrigation canals have dropped from about 225,000 acre-feet/year to around 150,000 acre-feet/year, although that number includes six years during which irrigation customers were allocated less than their full supply of water as a result of an extended drought during the mid-2000s. So all in all, it was a pretty good water year. With all-too-fresh memories of years when inflows failed to surpass 500,000 acre-feet, we are thankful any time they surpass the 1 million mark. As for the new (2017-18) water year, we’ll have to wait awhile and see. For what it’s worth, the Old Farmer’s Almanac (hey, they’re as accurate as just about anyone else!) forecast for the inter-mountain region — the area where snowmelt feeds the Platte Basin — says, “Winter will be colder than normal, especially in the south, with the coldest periods from late November into early December and in late December, mid-January, and early February. Precipitation will be slightly below normal in the north and above in the south, with above-normal snowfall in both. The snowiest periods will be in early and mid- to late December, mid-January, early and mid-February, and early March. April and May will be warmer and slightly drier than normal. Finally, upstream storage in the Bureau’s North Platte Reservoirs is in good shape with Pathfinder Reservoir currently at 74% of capacity and Seminoe Reservoir 80% full. That’s a good way to start a new year! The blog author does not claim to be a hydrologist, but some people think he’s all wet. The tour is part of an interdisciplinary seminar with the Department of Civil Engineering. Emphasis usually is placed on contemporary environmental issues and water resource management. UNL law professor Anthony Schutz, a native of Elwood, Neb., has arranged for the tour in recent years. This year he was accompanied by Brian Dunnigan, former NDNR director and now working for the engineering firm Olsson Associates, who is a guest lecturer for the seminar. The students and their instructors traveled from Lincoln early in the morning to meet me at Central’s administrative headquarters in Holdrege for a brief preview of the project and a description of Central’s operations. They then jumped back onto the motor coach and toured through several stops in the irrigated area, including sites that featured pivot turnouts from the canal, a sub-surface drip irrigation installation, an example of a “drop-span” pivot near Loomis, and a site in the E67 Canal area equipped with telemetry equipment (all 80-odd customer turnouts in the E67 area have such equipment) to provide customers with near real-time water delivery and evapotranspiration data. After a trip across the Johnson Lake Dam, a stop at the lake’s inlet and a peek at the new head gate on the E65 Canal, the group headed for lunch at the Gothenburg Barn and Grill. The bus then headed for the Gothenburg Control Center where Gothenburg Division Manager Devin Brundage explained the control center’s function and provided more detail about generation at Central’s hydroelectric plants. From Gothenburg, the bus headed to North Platte where Kent Miller, manager of the Twin Platte Natural Resources District, briefed the students about the NRD’s functions and current projects, including participation in the NCORPE river augmentation project. Then it was on to Jeffrey Lodge at Jeffrey Lake where the group enjoyed a catered dinner followed by a discussion with three attorneys from the area. 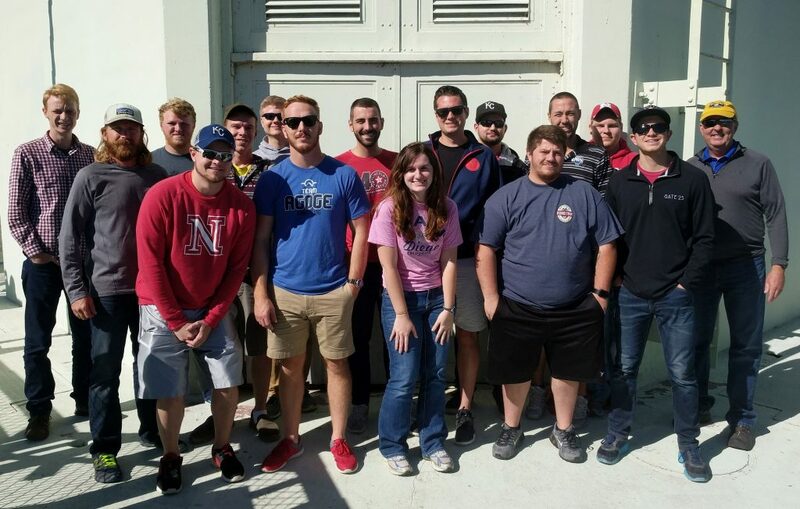 The 2017 UNL Engineering/Law Student Tour group stands for a photo in the shadow of the Outlet Tower at Lake McConaughy. Law Professor Anthony Schutz is second from left, and Brian Dunnigan, guest lecturer, is at far right. This year, rather than discussing water law, the focus was on a different legal issue. Retired attorney and Gosper County Judge Carlton Clark, current Gosper County Judge Todd Wilson and Bronson (B.J.) Malcom, an attorney in Cozad, spoke to the law students about giving some thought to practicing law in rural Nebraska. Attorneys in some rural Nebraska counties can be pretty sparse on the ground, which provides an opportunity for young lawyers to get started in their profession, practice in a variety of legal proceedings, and fill a need that currently exists outside of Nebraska’s metropolitan areas. The next morning, after a continental breakfast at the lodge, the group headed to Kingsley Dam and Lake McConaughy. The students had an opportunity to browse through the Water Interpretive Center at the Lake McConaughy Visitors Center and watched a 20-minute video featuring an actor portrayal of the late, great Sen. George Norris in which he explains the importance of water within the Platte River Basin. 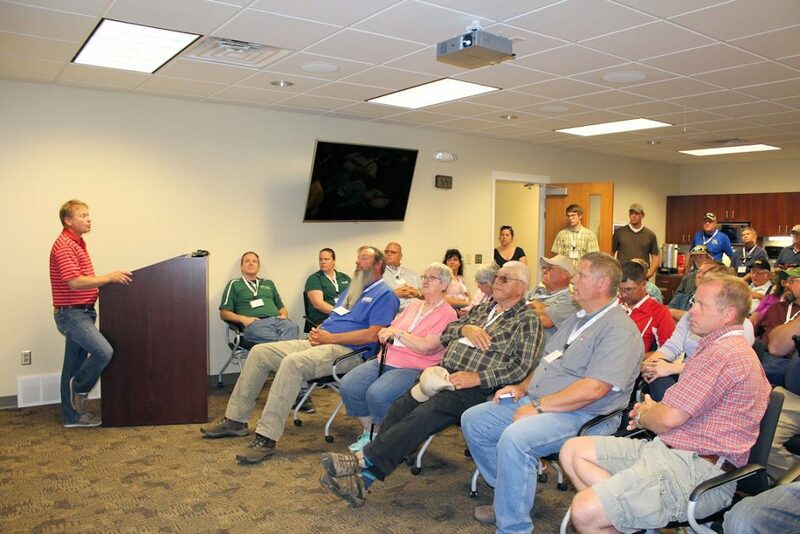 Tom Hayden, supervisor of NDNR’s West Field Office Operations in Bridgeport, Neb., was a special guest speaker on the tour, explaining to the students the complicated world of water administration in Nebraska. I could almost see the students’ heads spinning as Tom related stories of administering flows in the Platte River. His job has become ever more complicated as demands for water increase from every direction (environmental account flows, instream flow appropriations, excess flow calculations, special water legislation, etc.). The outlet structures and Kingsley Dam photographed from the “Hilltop” on Day 2 of the tour. As you can see by the blue skies and placid water of Lake McConaughy, it was a beautiful day for a tour. 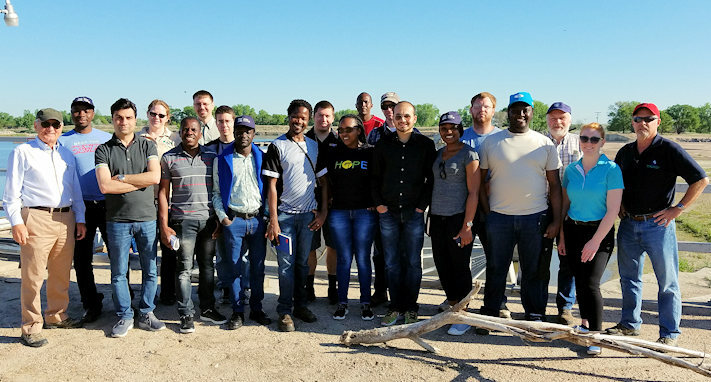 After Hayden’s presentation, the group visited the outlet structures for Lake McConaughy (the outlet tower and the “Morning Glory” spillway), pausing for the group picture that accompanies this story. The next stop was the “physical exercise” portion of the tour: the trip down and back up several flights of stairs to explore the inner workings of the Kingsley Hydroplant courtesy of Kingsley Dam Foreman Nate Nielsen. Finally, having worked up sufficient appetites, the students boarded the bus for a short ride to Ole’s Big Game Bar and Grill at Paxton where Central treated them to a lunch of buffalo burgers before sending them back to their studies in Lincoln. Good luck on the quiz over what you learned while on tour! Research of the District’s archives indicates that the first law school tour of Central’s project took place in March of 1964. Professors Richard Harnsberger and John Gradwohl shepherded the first class of law students on the three-day project tour. District personnel conducting the tour included Don Long, assistant to the general manager; Bernard Donelan, manager of the Kingsley Division; and Ralph Knepper, hydraulic engineer. Evenings were spent at Jeffrey Lodge discussing legal aspects of the project and water law issues with Ralph Canaday, who was Central’s chief legal counsel from the first years of the District’s formation until his retirement in 1959. 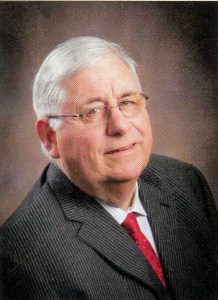 Canaday remained active with the District as a consultant for several years after his retirement. 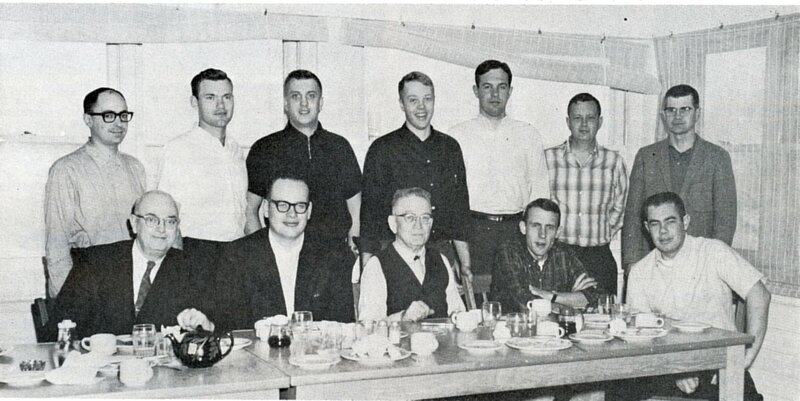 A course in water law took on new meaning for this group of University of Nebraska law students in 1964. The group is shown at Jeffrey Lodge with R.O. Canaday, former legal counsel for Central, seated in the middle, and Professors John Gradwohl (standing at left) and Richard Harnsberger (standing at right). Participants on the tour included (not in order in the photo) Earl Ahlschwede of York; Robert Calkings, Lincoln; Calvin Robinson, Broken Bow; Peter Henstad, Lincoln; David Maser, Sutton; James Sheldon, Lincoln; Robert Snell, Columbus; Richard Spaedt, Lincoln; and Dennis Winkle, Pickrell. The water law tour has been going on ever since, with but a few interruptions caused by weather or scheduling conflicts. Over the years, the focus of the seminar evolved from just water law and future attorneys to include graduate students from UNL’s engineering college. Professor Ralph Marlette was instrumental in involving students from the Department of Civil Engineering in the tour. Harnsberger and Marlette led the tours for through the 1970s and ‘80s until retiring and handing off the seminar to Law Professor Norm Thorson, and a series of civil engineering professors, including John Stansbury and Rollin Hotchkiss. Later, former NDNR director and civil engineer Mike Jess, who was a guest lecturer for the seminar and also was once an engineering student on the tour in the 1960s, helped conduct the tours for several years. Ann Bleed, also a former NDNR director, succeeded Jess and this year the tour welcomed yet another former NDNR director, Brian Dunnigan. 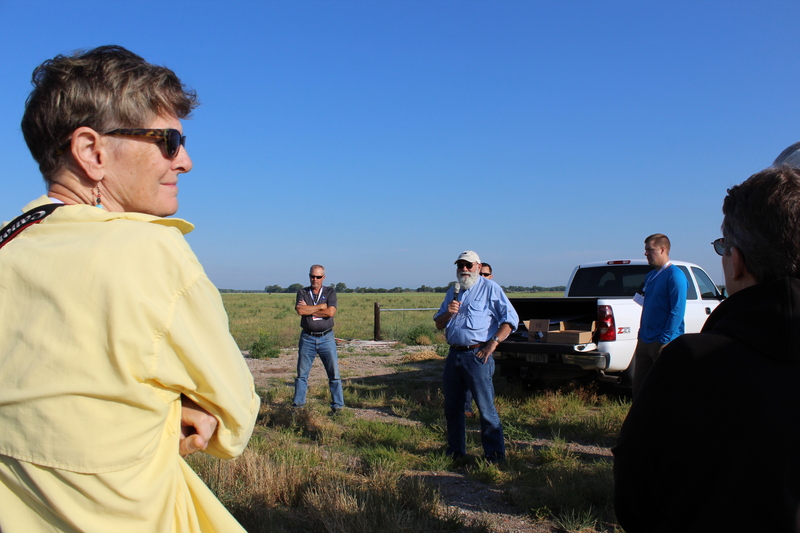 Sandra Zellmer, a UNL law professor with an impressive background in water and natural resources law has also filled in occasionally during the tour. A feature that was added – or returned — to the tour within the past decade was the after-dinner discussion with practicing attorneys about water law. Mike Klein, Central’s long-time legal counsel, and Judge James Doyle, now a District Court Judge, but formerly the legal counsel for some Natural Resources Districts, have led lively and entertaining discussions about various legal aspects, court cases and administrative actions involving Nebraska’s water resources. There you have it, climate change occurring more than 80 years ago! Keep in mind that the column was written a year before the beginning of a period that produced what would become known as the “Dust Bowl” in the High Plains, a period of drought which – according to most historical accounts – began in 1934. It is reproduced below, exactly as it was worded in the original. “During the formal public works hearing before the Nebraska advisory board in Lincoln, when the Tri-County irrigation project was being given its preliminary presentation, one of the pioneer farmers of Gosper county told of the transformation that has taken place in cloud formation and rainfall. “He started farming in the early (18)’80s. “He recalled in those years when the thunder heads gathered into a majestic bank in the northwest, and sweeping down over Nebraska opened the floodgates. Such a storm soaked the grass roots. Usually, it began in the early evening, continuing on thru the night, and sometimes lasting as long as all the next day. “There is not a long time resident of this state, who will not recall them. Eventually, they terminated long periods of drouth, when a blistering sun had burned ranges and pastures, and fields until they resembled the brown of dead winter. And in the morning, a state awakening after the storm had pounded on the roofs all night, discovered that nature had winnowed the dead grass into neat piles, and the prairies, which twenty-four hours before had seemed lifeless, had a tinge of green. It brought a feeling of gladness which only the Nebraskans of that day can appreciate. Frequently it come too late to save crops, but it cleared the air, washed the landscape, made life worth living once again, and generally was followed by such a period of golden sunshine that the sheer joy of the thing blotted out the recollections of disappointment and anxiety. “A good many men have asked what became of the old fashioned thunder head banks which were a distinct and awesome spectacle belonging solely to plains country. The weather man has insisted there is no change of real consequence in climatic conditions, that in reality periods of heavy precipitation and of drought follow in cycles. It may be true so far as the gauge and the records reveal, but the magnificent grandeur of the old fashioned soaker, extending from one end of the state to the other, belongs to the past. “This farmer, pleading for irrigation, mentioned rains of recent years, amounting to as much as three inches of moisture, while 50 miles away, only a sprinkle fell. It might come down in buckets at Holdrege and pass by Hastings entirely. The latter might be flooded, while a town in the next county failed to receive a drop of rain. But when the old thunder bank had swept down from out of the northwest not a square foot of soil in Nebraska escaped a thorough wetting. “The last storm of that character we can remember came in early July of 1908. It deluged Lincoln, produced the greatest flood in the Salt creek valley since the days when the Nebraska capital was a straggling village, and lasted the whole night thru. Early in the day, the thunder heads began gathering along the entire horizon – east, west, north and south. They piled up, one on another, until the top most formation, great creamy mountains with black bases, seemed to meet in the center of the sky. And then the rain began in the evening, increasing in force until hours later it seemed to come down in solid sheets. “Without venturing into the technical field, unless imagination has played a trick, the Nebraska thunder head of the present day falls into the classification described as presaging a shower. It may bring a lusty rain of local character. “Early in the summer, the press accounts told of a movie outfit, armed with cameras, waiting for a three weeks stretch to snap pictures of huge thunder heads. Its patience exhausted, it left in disgust, and two days later, most of the eastern section of Nebraska was visited by a strictly local rains, which were preceded by some truly magnificent thunder head formations. Hmm. Maybe the old guy was on to something. It was 1942. Kingsley Dam had been closed the preceding year and Lake McConaughy was just beginning to fill. In just under a year and a half, almost 840,000 acre-feet of water had been stored behind the dam. This summer Central will reach a milestone: 75 years of delivering storage water from Lake McConaughy through its canal system. In the irrigation service area (Gosper, Phelps and Kearney counties), farmers on almost 45,000 acres had signed contracts with Central for delivery of irrigation water. Although Central had been bringing water to the area since the spring of 1938 from a temporary diversion point on the Platte River east of Lexington, the deliveries were limited to about 3,300 acres near the river and functioned mostly as an opportunity for area farmers to learn how to best utilize water on their fields. Central sponsored demonstration days to show irrigation equipment and practices. 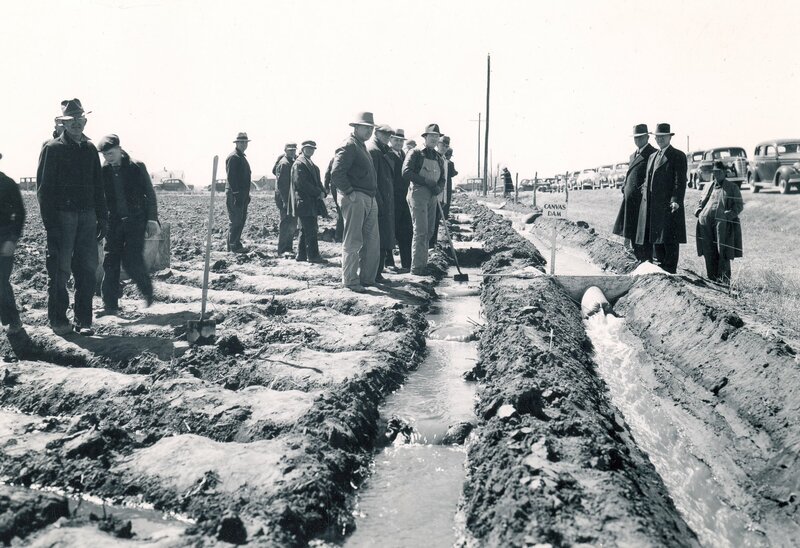 One such “irrigation school” of note was conducted on April 28-29, 1938 by Ivan Wood, an irrigation specialist from the University of Nebraska Agricultural College’s Extension Service. Held at the Henry Peterson farm eight miles northwest of Holdrege, the school attracted an estimated 10,000 people over two days. Wood demonstrated various instruments for leveling ground, making farm laterals, the use of canvas dams or light, steel dams for shutting off water or raising water levels in a lateral, the use of homemade lath box turnouts and how to distribute water over the field in the most practical manner. Irrigation demonstration: Central District customers learned how to best use the newly arrived irrigation water on their farms. The first “irrigation schools” were held in 1938 on Phelps County farms and continued through the early years of the canals’ operations. 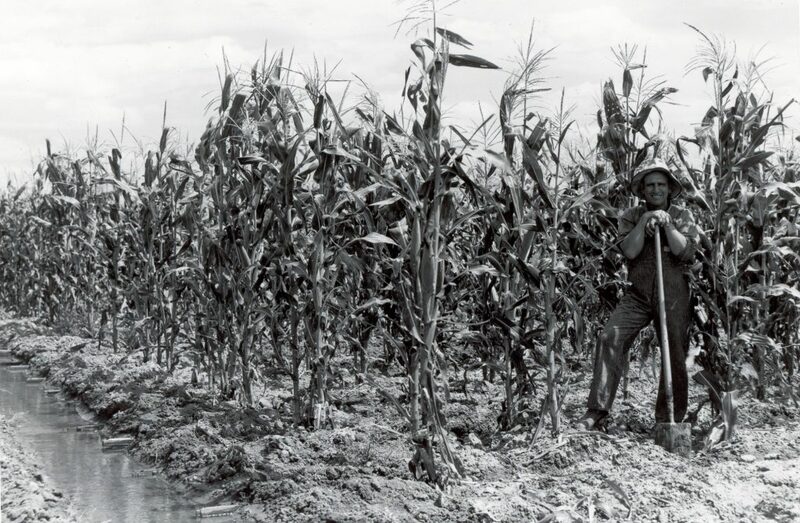 Corn yields jumped from an average of 28 bu./acre in the 1920s to more than 100 bu./acre on irrigated ground under improved farming practices during the 1940s. The ability to irrigate was probably the most significant factor in increasing yields and producing a crop every year, even during dry periods. But in 1942, there remained some uncertainty about how beneficial – and necessary — these new canals would be. 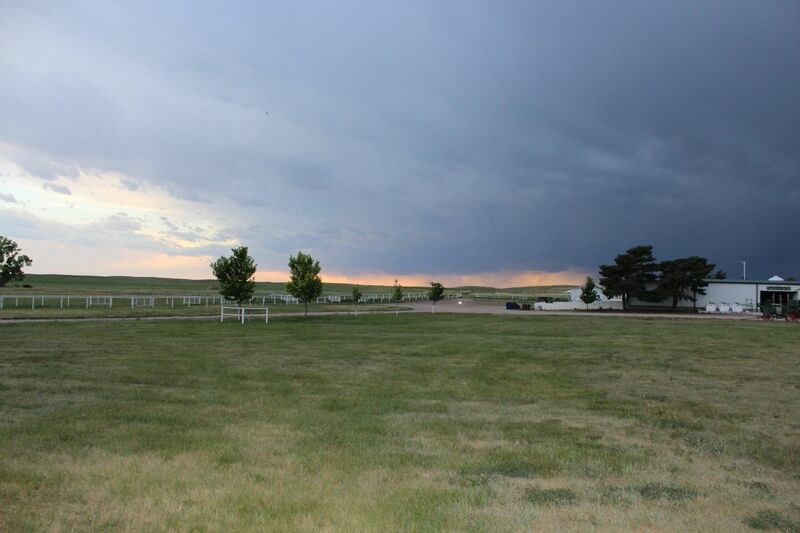 Most of the area had received decent rainfall during May and June, but – as often happens in Nebraska — July and August turned out to be hot and dry. The new irrigation canals bringing water to the area proved to be a blessing for those who had delivery service contracts with Central. Success bred success and by the end of the decade, the number of acres under irrigation doubled as more producers saw the advantages of irrigation. A Central irrigation customer stands next to his farm lateral — equipped with wooden lath boxes through which water flowed from farm lateral to furrow (lower left corner) — and smiles at the good fortune of being able to irrigate his crops. One such farmer was Laverne Johnson, who had started farming in the 1930s, right in the middle of one of the most brutal droughts Nebraska has ever experienced. Johnson, who years later would serve two terms on Central’s board of directors, had been a supporter of the irrigation project during the struggle to gain approval and funds to build the project. But from his perspective, he didn’t know if the project would be built in time to save him from ruin. In the early 1990s, he recalled the difficulties he experienced during his first years of farming and the elation of seeing irrigation water come to his farm. He explained that he was nearing the breaking point in the late ‘30s, having experienced crop failures and poor harvests time and again because of the lack of rainfall. Then he emotionally recalled the moment after the canals had been completed and he first saw water making its way down to his fields. And it was. 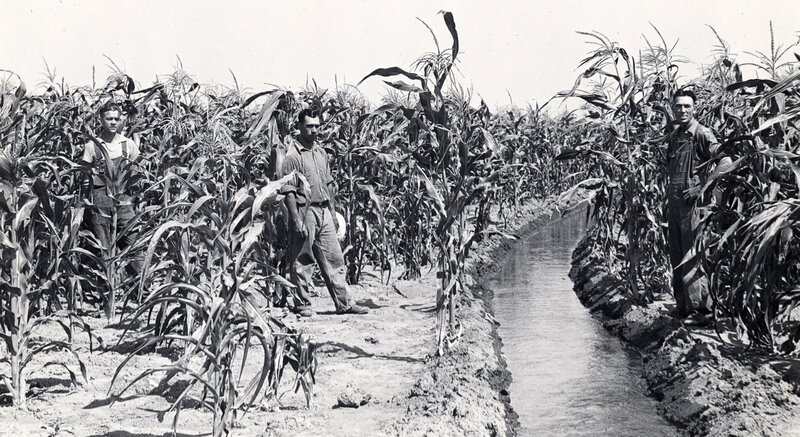 Over the years, Johnson would expand his farming operation, putting the additional acres under irrigation from the canals and later from wells as the groundwater table beneath the area began to rise because of recharge from the canal system. Laverne passed away in 2001, but today the farm that he thought he was going to lose remains in his family largely because of the reliable source of water in Lake McConaughy that enabled him, and many others like him, to prosper instead of being driven from the land by the whims of nature.